A billionaire candy tycoon known as the "Chocolate King" will be Ukraine's next president. A seasoned politician, Petro Poroshenko is known for his pro-European Union views and said Russia needs to participate in bringing peace to eastern Ukraine. But his promises to work for peace are being overshadowed by a new round of bloody fighting. CNN's Jim Sciutto is on the ground in Ukraine, where he's been reporting on the elections and ongoing violence there. In the 5 p.m. ET hour, after his live report on the Situation Room, Jim will jump onto Twitter to answer YOUR questions about Ukraine. 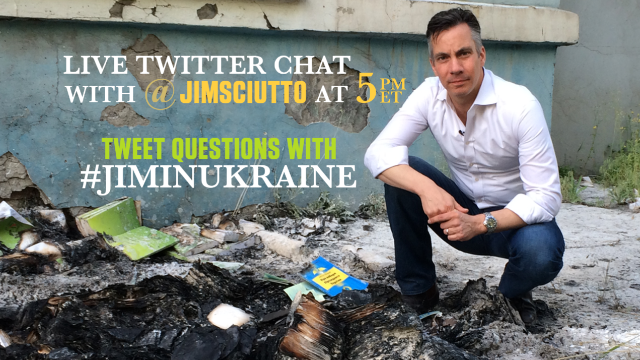 Please send your questions to @JimSciutto using the hashtag #JimInUkraine.